Accueil > Golf: swinging in the Sun! Of the region's 20 golf courses - all designed by internationally renowned names - 15 are open all year round and located under half an hour away. There are 3 more golf courses in the mountains. From beginners' lessons to a round on an internationally recognised golf course, you'll be able to enjoy your favourite sport in the very best conditions. A huge choice for anyone keen to enjoy golfing on the Riviera! Golf du Claux Amic, Golf de Saint-Donat, Golf de la Grande Bastide and Golf d’Opio-Valbonne. 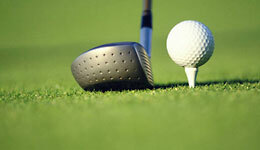 Golfing enthusiasts can enjoy a combination of sports and lifestyle all year round. Only 90 minutes from Nice, in the upper Roya, this stay offers two days' change of scene at the heart of the Mercantour National Park, in a sumptuous Alpine decor. Ideal for all, especially for families, head off to meet the Mercantour wildlife and the rock engravings at the Fontanalbe site. Enjoy a stay at the 4-star Royal Mougins Golf Resort, the Côte d'Azur's only golf resort! Ideally located mere minutes away from Cannes, it didn't take these 75-hectare grounds long to build a reputation as one of the best golfing sites in France, and a leading name on Europe's resort scene. The Mont Bégo was most probably a sacred mountain and place of worship for our Bronze Age ancestors. Two of the Alps' major rock engraving sites lie at the foot of the mountain. The Vallée des Merveilles and Vallée de Fontanalbe are without a doubt some of the southern Alps' most fascinating landscapes. The area is home to nearly 100,000 rock engravings classed as listed historic monuments. The ideal destination for an escapade outside the summer season, the Estérel offers a beautiful setting for running in nature on a long weekend. Lodged in a comfortable hotel on the seashore at Agay, every day you can take paths leading to the heart of the massif, while enjoying the sea view. Calling all sports fans and adrenaline junkies! Expect epic hikes, climbs up the mountain tops, canyoning, rock climbing, via ferrata and water hiking! Take in the beauty of the Mercantour through a host of awesome activities. You are between 13 and 17 years old and willing to meet young people from all over the world, join our full immersion junior program! Located in one of the most beautiful vacation spots, you will combine French classes with fun sport sessions, cultural excursions and many other activities! Where to go on the Côte d'Azur? 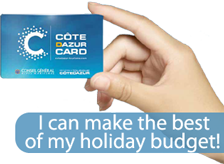 What to do on the Côte d'Azur? Where to sleep on the Côte d'Azur?